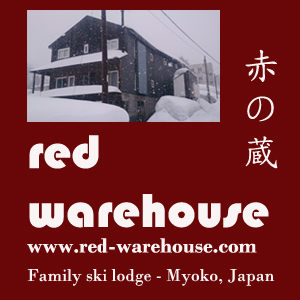 Myself and a mate are looking at coming over to do a season in Myoko for 2013/2014. I'm wondering what our best option is as far as accommodation goes? I'm struggling to find any form of share accommodation options. Obviously the season is almost done over there but with work etc here I'd really like to try and sort out as much as possible before getting there and having to be on the struggle! There are jobs going in hotels and if you have some Japanese skills that is certainly looked upon favourably. If you were to get one of these gigs then your accomm problems are solved as they will provide room and meals. Send us an email via our contact us page and maybe I can forward it on. This is good info. We (couple and 2 kids) are hoping to come for 18 days in Jan 2014. If we like it we will be sniffing around for longer term for the following season. I know it's a long shot but would there be any short term schooling options? Depending on the amount of time you're talking I would probably look into homeschooling. There are good public schools in the town but, 1) your kids would need at least passable Japanese, and 2) I'm not sure short term enrolment is possible. If you are really serious about the possibility send me a PM and we can organise to meet up for a chat when you are here.